We think, in part, by using many labels, a necessary and useful process when done with care. These labels are rather like bags or boxes into which we neatly put our experiences, our reactions, our environment, and our fellow humans. But often our labeled-boxes mislead us because the specific people in time and space (what they actually do, value, and represent) may not correspond well to the label. So the generalizations arrayed in our minds, under associated labels, can mislead. Ironically, our mental boxes can box-us-in psychologically. When our quick firm categories lack thoughtfulness, they act as blinders. 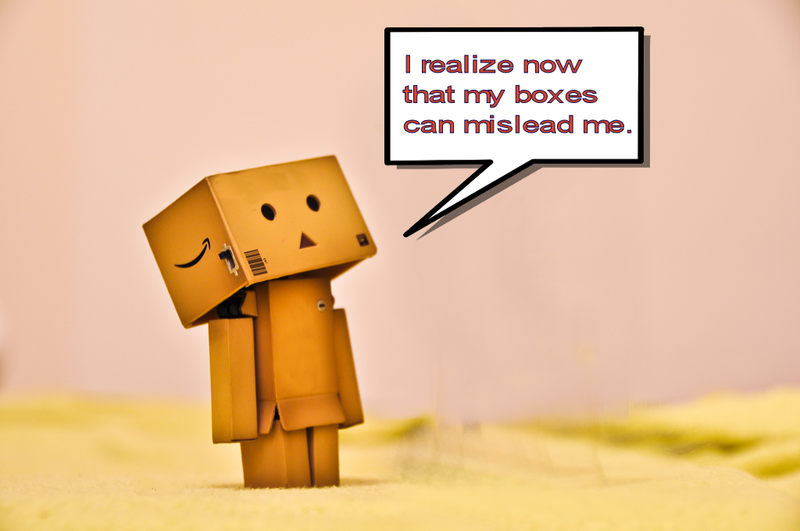 Then, it’s as if the boxes are not just in our minds but around our heads!